Area classification, for locations where combustible materials (flammable gases or vapors, flammable liquids, or combustible liquids) are processed or handled, is the analysis of a space to determine the likelihood of an ignitible mixture of flammable materials and oxygen. If the analysis determines that ignitible concentrations are or may be present in the air in quantities sufficient to produce explosive or ignitible mixtures, this will limit the electrical equipment that is permitted to be used in that space. If the ignitible mixture exists, the NEC provides special requirements for electrical wiring and equipment to minimize the likelihood that the electrical system will become an ignition source in the space. Other materials, such as combustible dust and ignitible fibers and flyings, are also classified as hazardous by the NEC, but will not be discussed in this article. The purpose of this article is to discuss the role of the authority having jurisdiction (AHJ) in the area classification process. NEC 90.4 includes the following text: “This Code is intended to be suitable for mandatory application by governmental bodies that exercise legal jurisdiction over electrical installations. The authority having jurisdiction for enforcement of the Code has the responsibility for making interpretations of the rules, for deciding on the approval of equipment and materials, and for granting the special permission contemplated in a number of the rules” which clearly places the AHJ in the process of interpreting the rules and approving installations covered in Chapter 5. Section 90.3 states in part that Chapters 1 through 4 apply generally, Chapter 5 applies to special occupancies and the rules in Chapters 1 through 4 apply, except as amended by the latter chapters (5) for the particular condition. Nothing in Chapter 5 amends the requirement in 110.2, which indicates that all installations covered by the NEC must be acceptable to the AHJ. Many of us employed by a governmental body to enforce adopted electrical codes have some form of electrical training. That training likely included a study of Ohm’s Law; Kirchhoff’s Law; electromagnetism; voltage, current, resistance, impedance, power; series, parallel, and series-parallel circuits; and other standard electrical subject matter. None of the general topics, covered in most electrical training programs, however, relate to the analysis used to determine ignitible mixtures of flammable gases or vapors and oxygen. The percentage of projects that include hazardous locations is quite small compared to the total number of projects that we inspect. In many cases, the percentage of projects that include hazardous locations is extremely small compared to the total number of projects where designers, contractors, material suppliers, and/or electricians are involved. Many of the details related to the classification of the space are not found in the NEC. They are located in other standards and recommended practices to which we may not have easy access. I believe, for the AHJ, the most important text included in the NEC related to area classification is found in 500.4(A) and 505.4(A). This text, first included in NEC 1999, reads: “(A) Documentation. All areas designated as hazardous (classified) locations shall be properly documented. This documentation shall be available to those authorized to design, install, inspect, maintain, or operate electrical equipment at the location.” This requirement does not indicate that the AHJ is the person responsible for producing the documentation, but it must be made available to the AHJ so that a proper inspection of the installation can be made. The text indicates that even the designer and installer of the electrical installation are not likely to produce this documentation. I believe as this article evolves, you will see and agree that proper documentation of area classification will include input from a number of sources. The goal for this article will be to provide information that will assist those reviewing the classification documentation and help them to determine if all of the factors that affect the area classification have been considered. When it is determined that combustible materials are or may be present, the provider(s) of the classification documentation must determine if the U.S. traditional, Article 500, Class, Division, Group method or the IEC traditional, Article 505, Class, Zone, Group method will be utilized. Table 2-1 of NFPA 497 can be used for determining groups for many materials that will be encountered. When the U.S. traditional, Article 500, Class, Division, Group method is selected, the Class I space being considered can be further divided into Division 1, Division 2, and unclassified areas. Division 1 areas include those locations where ignitible mixtures can be present under normal conditions, regardless of time. It is important to realize that normal conditions can include times when equipment is being repaired and combustible material is released as a result of this repair work. The frequency of this maintenance will determine if these releases are considered normal or abnormal. Recommended practices from some industries use as little as 10 hours per year of material release as a guideline for establishing a Division 1 location due to frequent maintenance. Other industries may use different values to establish frequent maintenance. Division 2 areas are those locations where ignitible mixtures are present only under abnormal conditions. The application of the term abnormal does not include catastrophic events. Many vessels and piping systems that contain combustible materials are normally very tightly sealed and do not include valves, seals, or other parts that routinely release materials and need repair. These areas would likely be classed Division 2. Other spaces classed as Division 2 include the space that adjoins a Division 1 area. If there is no vapor tight barrier or wall to separate the Division 1 area from the unclassified area, there will be a Division 2 area to make the transition. If it is assumed that under normal conditions, a sphere 5 feet in diameter around a seal on a pump includes ignitible concentrations of a material, then it would be impossible to assume that under abnormal conditions the ignitible concentration would not spread beyond that 5-foot sphere. Therefore, the area adjacent to a Division 1 area, unless completely cut off by an unpierced barrier will always include a Division 2 location. Unclassified Locations are defined in 500.2 and 505.2 as, “Locations determined to be neither Class I, Division 1; Class I, Division 2; Class I, Zone 0; Class I, Zone 1; Class I, Zone 2; Class II, Division 1; Class II, Division 2; Class III, Division 1; Class III, Division 2; or any combination thereof.” Combustible materials could be present at these locations, but may be stored in suitable containers, may be contained in suitable, well-maintained, closed piping systems, or located in well-ventilated areas. Unclassified areas also include those where inherent thermal ignition sources are located, such as flares, fired heaters, and so forth. Requiring special electrical equipment in the area of equipment designed to burn a combustible material normally would not be appropriate, but sometimes may be recommended due to purge cycles when flammable materials might be released prior to ignition. Photo 4. Photo 4 shows the pit or box below the dispensers shown in photo 3. When the IEC traditional, Article 505, Class, Zone, Group method is selected, the Class I space being considered can be further divided into Zone 0, Zone 1, Zone 2, and unclassified areas. Zone 0 areas are those locations where ignitible mixtures are present continuously or for long periods of time. This includes part of the space that would be classed Division 1 using Article 500. Examples of Zone 0 locations can be reviewed in FPN No. 2 to 505.5(B)(1). Zone 1 areas include those where ignitible mixtures are present under normal conditions, but do not exist continuously or for long periods of time. This includes the remainder of the space classed Division 1 using Article 500 that is not Zone 0 using Article 505. Zone 1 will also include the area adjacent to a Zone 0 location, unless completely separated by a vapor tight barrier. Examples of Zone 1 locations can be reviewed in FPN No. 2 to 505.5(B)(2). Photo 5. 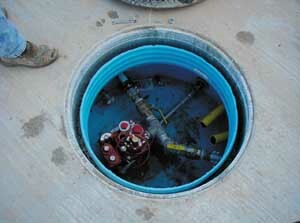 Photo 5 shows the fill opening for one of the underground tanks at the dispensing station shown in figure 4. Zone 2 areas include those locations where ignitible mixtures are present under abnormal conditions and areas that are adjacent to Zone 1 spaces unless completely separated by a vapor tight barrier. As recommended practices have been developed for zone applications, the Division 2 and Zone 2 space in most cases is the same space. The only difference is the title, which indicates the method of classification that is being used. The unclassified locations, as shown above, are defined the same for zones and divisions. Photo 6. Photo 6 shows the outdoor, remote pump location for the dispensing station shown in photo 5. As the scenarios in the paragraphs above are considered, it is obvious that those familiar with maintenance and operations of a particular industry must be involved in preparing the classification documentation. An example of maintenance and operations contribution would be establishing the degree of classification around a valve in a piping system. A valve in a 4-inch product line at one industry may be opened and closed often, developing releases of product resulting in ignitible concentrations that are considered a normal condition at that facility. On the other hand, the same valve in a different industry, or even a different facility within the same industry, may seldom be operated, resulting in a minimum amount of product release and ignitible concentrations only in abnormal conditions. The operations and maintenance persons at those facilities will provide the most accurate information related to that variable. The combustible material involved; all materials will not disperse the same when released. The vapor density of the material; some released materials will settle to the lower elevations while others will rise to upper elevations. The temperature of the material; some materials are stored at very low or very high temperatures, and when released the rate of evaporation and dispersion will change as the material temperature equalizes with the ambient. The process or storage pressure; the release of a particular material at 10 psi will have a different effect than a release of the same material at 100 psi. The size of the release; the release of a material around a leaky seal on a pump will be different than the release of the same material at the same pressure from a dispensing nozzle. The ventilation; a release of material with all of the variables above being identical, that occurred outdoors will result in a different classification than the same release that occurred in a closed in building with no ventilation. Photo 7. Photo 7 shows the right-of-way for a gasoline pipeline. When we consider the variables in the paragraph above, we realize that in addition to the operations and maintenance persons at a facility, the process engineers, electrical engineers, mechanical engineers, chemical engineers and others must also be involved in developing accurate classification documentation. Many industry associations, whose member companies have common processes, have developed recommended practices or participate in other NFPA standards that are most helpful in the development of classification documentation. Those industry associations include, but are not limited to, the American Petroleum Institute (API), American Chemistry Council (ACC), American Gas Association (AGA), and the American Oil Change Association (AOCA). The information provided in these other codes, standards and recommended practices may be accepted as all or part of the classification documentation. Other industries have not developed other documents to assist with area classification. In these cases, the principles outlined in NFPA 497 should be applied to develop the classification documentation. Photo 8. Photo 8 shows the pumping station and bulk storage facility from which the pipeline shown above is supplied. If all of these factors mentioned above have not been considered, then the AHJ must question the accuracy of the documentation. The classification documentation should include the combustible material and gas group involved, flash point, boiling point, ignition temperature, vapor pressure, vapor density, explosive limits, temperature class, identification of the release points, boundaries of the various divisions or zones, recommendations from relevant recommended practices, codes and standards, and a study of ventilation characteristics. The documentation may include a set of plans that include all of the applicable information, or may include plans showing release points, and classification boundaries with schedules or separate documents providing the other information. Photo 9. Photo 9 shows a sewage pump located in the basement of a single family dwelling. What would the area classification be for this application? Where the facility in question operates within the parameters of a published code, standard or recommended practice, that document may provide the information for the classification boundaries. 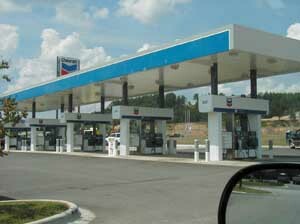 The best example of this type installation is a motor fuel dispensing facility, the corner gas station. Article 514 of the NEC includes much of the information that is required for proper documentation. It is important to realize that much of the information related to the classification of the location is extracted from NFPA 30A, Code for Motor Fuel Dispensing Facilities and Repair Garages, and that the classification requirements in Article 514 are based on the non-electrical requirements in NFPA 30A being met. If the non-electrical requirements are not met for such items as storage tank requirements; piping and ancillary equipment; piping, valves, and fittings; fuel dispensing systems; and fuel delivery nozzles, the classification information may not be accurate. Below are some examples of locations that include combustible materials and some classification information for each one. If we assume that all of the NFPA 30A requirements are met, what would the area classifications of photo 2 be? 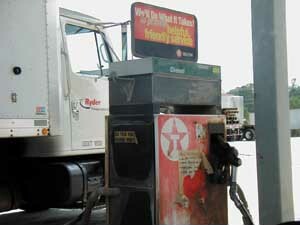 Based on NEC 514.3(A) and Appendix B of NFPA 30A, 1996 Edition, the diesel fuel dispenser area shown would be unclassified. If we assume that all of the NFPA 30A requirements are met at the motor fuel dispensing station shown in photo 3, what would the area classification of the pictures be? Based on NFPA 30A and NEC 514.3(B)(1) and Table 514.3(B)(1) the motor fuel dispensing facility shown in photo 3 includes Class I, Division 1, Division 2 and unclassified locations. The space around the underground tank vents, seen between the first two dispensers from the right, and beyond the parking lot curb, would be Division 1 within 3 feet of the open end of the vent and Division 2 between 3 and 5 feet of the vent opening in all directions. The areas within 18 inches horizontally in all directions from the dispenser enclosure are Division 2 locations extending to the ground. 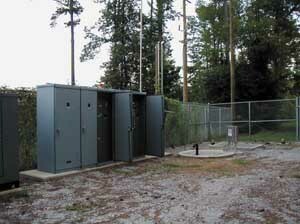 The area up to 18 inches above grade within 20 feet horizontally of the dispenser enclosures is Division 2. The areas beyond that 20 foot dimension and the areas above those described, are unclassified. 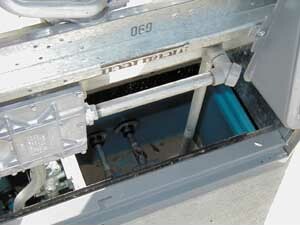 Photo 4 shows the pit or box below the dispensers shown in photo 3. Based on NFPA 30A and NEC Table 514.3(B)(1), Dispensing Device, Pits, the area shown would be a Division 1 location. 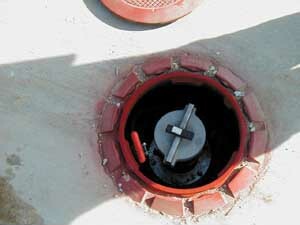 Photo 5 shows the fill opening for one of the underground tanks at the dispensing station shown in figure 4. Based on NFPA 30A and NEC Table 514.3(B)(1), the area shown would be a Division 1 location. Photo 6 shows the outdoor, remote pump location for the dispensing station shown in photo 5. Based on NFPA 30A and NEC Table 514.3(B) (1), the area within the pit would be a Division 1 location and up to 18 inches above grade within 10 feet horizontally of the pump would be classified as a Division 2 location. 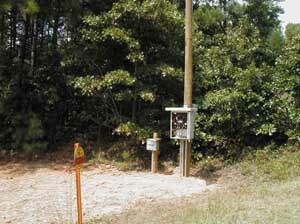 Photo 7 shows the right-of-way for a gasoline pipeline. Thousands of gallons of gasoline move through this pipeline each year. Three to eight feet below grade, near the warning sign, are two welded metal pipes, three to four feet in diameter. The area however, is unclassified. API RP500, Section 6.2.4.1 reads: “Experience has shown that certain locations may be unclassified regardless of the ventilation rate since the occurrence of flammable gas or vapor liberation from some apparatus is so infrequent. Examples of such locations include the following: 6.2.4.1.1 Locations where flammable substances are contained in: 1. All welded-closed piping systems without valves, flanges or similar devices, or 2. Continuous metallic tubing without valves, fittings, flanges, or similar devices. 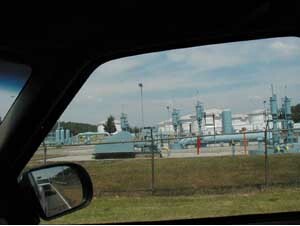 6.2.4.1.2 Locations where flammable liquids, gases or vapors are transported or stored in certain containers or vessels (Refer to NFPA recommendations and DOT regulations specifying containers for flammable liquids and gases).” Although no code, standard or recommended practice classifies this area and the piping system is welded and located underground where there is a lack of oxygen, care should be taken by anyone working in the area. If a leak occurred underground, and the pipe was uncovered, an ignitible atmosphere could be reached. Photo 8 shows the pumping station and bulk storage facility from which the pipeline shown above is supplied. If we review NFPA 30, Flammable and Combustible Liquids Code, NEC Article 515 Bulk Storage Plants, 515.3 and Table 515.3, and API RP 500 and 505, Recommended Practices for Classification of Locations for Electrical Installations at Petroleum Facilities Classified as Class I, Divisions 1 and 2 or Zones 0, 1, and 2, we realize that within the pictures below, there are Division 1, Division 2 and unclassified spaces using the division system or Zone 0, Zone 1, Zone 2, and unclassified spaces using the zone system. 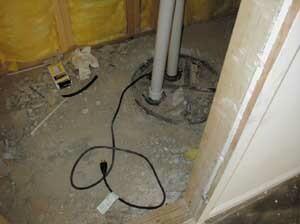 Photo 9 shows a sewage pump located in the basement of a single family dwelling. What would the area classification be for this application? Based on Line 9 of Table 2 of NFPA 820, Standard for Fire Protection in Wastewater Treatment and Collection Facilities, pumping units serving one but not more than five dwellings (e.g., grinder pumps, septic tank effluent pumps, ejector pumps) are classed as unclassified location. 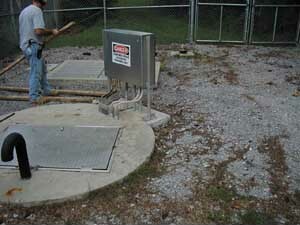 Pictures 10, 11, and 12 show a sewage pumping station along a major highway in Shelby County. Sewage from two residential subdivisions, a shopping area, and a business park are routed through this pumping station. Based on Line 16 of Table 2 of NFPA 820, Standard for Fire Protection in Wastewater Treatment and Collection Facilities, a wastewater pumping station wet well, the liquid side of a pumping station serving a sanitary sewer (sewer transporting domestic, commercial and industrial wastewater) or combined sewer is classified as a Class I, Division 1, Group D location. 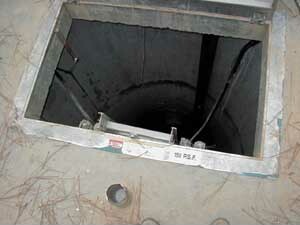 The space outside of the wet well, which is cut off by the lid to the wet well is unclassified. These examples show just a few locations where combustible materials are found. They also show that in most facilities that include classified locations, the entire facility will not be classified the same. In conclusion, the AHJ must realize that we will never be able to memorize the area classification for all Class I locations. We can gain an understanding of the principles that affect area classification and be able to recognize when and if proper documentation has been provided. The documentation referred to in this article is necessary for the inspection process. What Does the Falling Dollar Mean to You?